A friend of mine has died. Its one of those things that happens all the time, to everyone. And we know it. People die. Of old age, of heart attacks, of car accidents, of mud slides and drug overdoses. We all die. Everyone we know will die. We look to our children and it is easy to pray that they make the right choices, have peace, have wisdom, follow hard after YHWH and recieve His blessings. We look to our friends and that is pretty easy too. YHWH told us to pray for our enemies. (Proverbs 25:22, Matthew 5:44, Romans 12:20) Knowing the hardness of our hearts, he says it will heap coals on their heads! LOL And when we are hard hearted that is indeed some consolation as we pray for those who have wounded us. They will get theirs. But of course the goal to pray for a soul, is for their salvation!!! 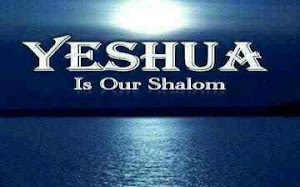 The goal is to pray that they be blameless and clean before YHWH. Now, this friend was not an 'enemy' exactly. He was... distanced, for many years, by his sinful lifestyle and choices. I had love for him, and I had hope for him. But he walked contrary to YHWH, willingly. I urged him again and again to follow YHWH. Maybe that changed before his untimely death. Maybe not. I prayed for him when I thought of him, sometimes just a passing word, and sometimes, a fervent cry for his salvation. I am still learning about the importance of prayer, the power of prayer, the spiritual laws of prayer. David prayed in songs, that often began as lament and turned to praise. Daniel went to a quiet place and prayed three times daily. Jesus prayed so hard that he sweat blood. Paul urged us to pray without ceasing. We know that the enemy goes to the throne asking to smite our fellow human beings (Job 1). At the same time YHWH calls US to be watchmen with trumpets sounding, wall builders who stand between the weak and the enemy, death in sin. He knows their fate if they do not turn back to Him. We know their fate if they do not turn back to Him. Is there someone who needs you to stand in the gap today? Is there someone who needs a spiritual wall to be built around them? Do not wait. Sometimes, tomorrow never comes.